Max Burn. Max Efficiency. Max Results. The Bowflex Max Trainer was built to deliver a full-body, low-impact interval workout in just 14 minutes. 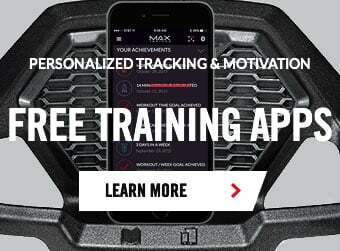 MAX's unique design provides infinite challenge, so you'll never outgrow it and always have the challenge you desire. Every MAX workout is built around YOU. Tell MAX a little about yourself and you'll instantly receive targets tailored to your fitness level, age and personal statistics. The most effective full-body workout in 14 minutes guaranteed.